The outer lens stays in place during focusing thanks to inner focusing mechanism. 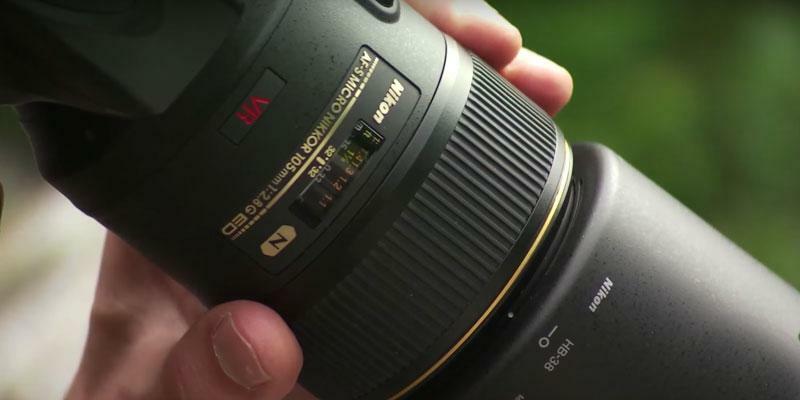 Also, the lens has Vibration Reduction image stabilisation. Some might find the AF a bit slow. Micro-NIKKOR is an awesome addition to any camera kit for both pros and amateurs. The special glass coating and optical image stabilisation will provide you with the best image quality. Owing to straight 9 diaphragm blades, the bright flecks of sunlight will appear as the 18-point stars on your photos. 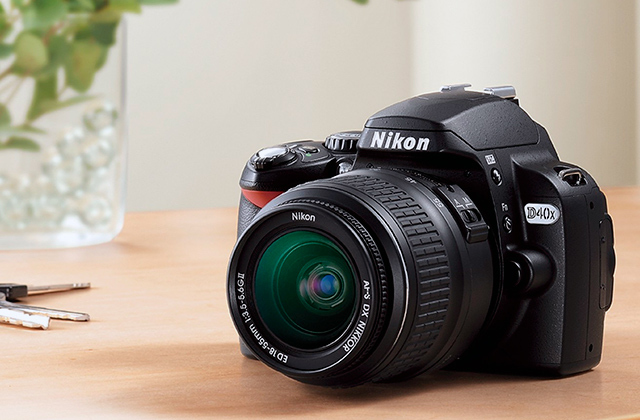 The lack of built-in focusing motor makes the AF unavailable on several entry-level Nikon APS-C camera bodies. 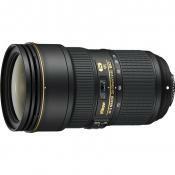 This is a solid macro lens for Nikon Full-Frame cameras. It can provide you with the stunningly bright, crisp macro close-ups and waist-up portraits that feature magnificent rounded bokeh, thanks to its 9-blade aperture. 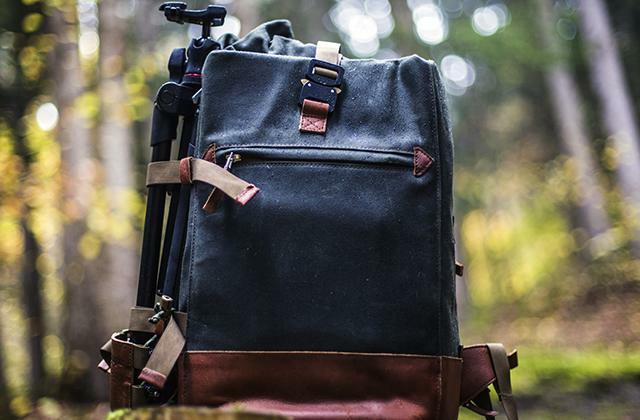 Easy to handle and take along with you on your travels due to the light weight and compact size. 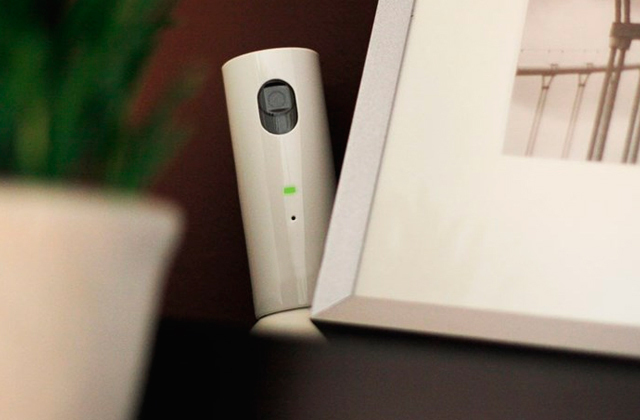 This lens is designed for APS-C sensor cameras only. 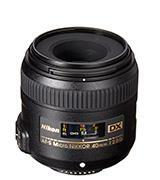 Micro-NIKKOR 40mm f/2.8G AF-S DX Lens can be recommended to beginners and advanced photographers with Nikon APS-C cameras. 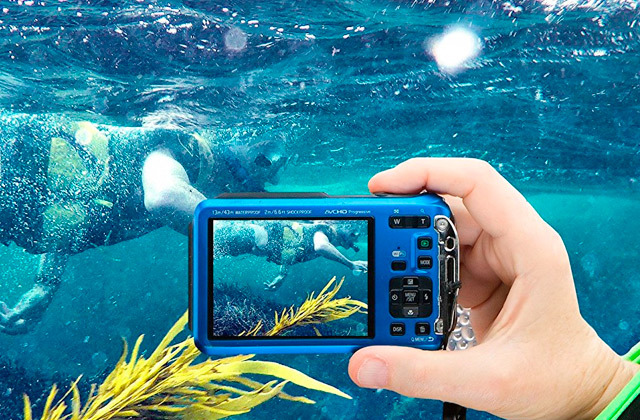 Due to compact size and light weight, it is also a good choice if you like to travel a lot. The lens barrel and glasses are made of high-quality materials that are backed up by 5-year limited warranty. Some might find the autofocus a bit noisy. 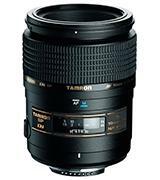 Tamron AF 90mm f/2.8 Di SP AF/MF is a great alternative to the Nikkor macro lenses for the relatively lower price. At the similar optic characteristics, it shows you a decently sharp and crisp image at any range. Special optic specs reduce the chromatic aberrations, image distortion, and vignetting. 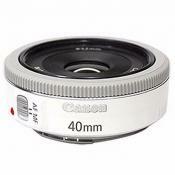 The f/4 aperture isn't constant at all focal lengths. 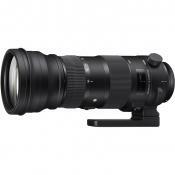 We can recommend this zoom telephoto lens with the option to shoot macro photos to those, who seek a versatile lens to try out their skills in every photography genre. 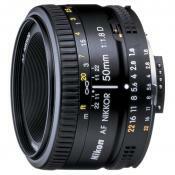 The Nikkor is the Nikon's brand, dedicated specifically to the lens product. The first model of this Micro-Nikkor lens was manufactured in 2006 as the further expansion to the company's lens series for professional photographers, and the golden ring on the barrel is the indicator of this. 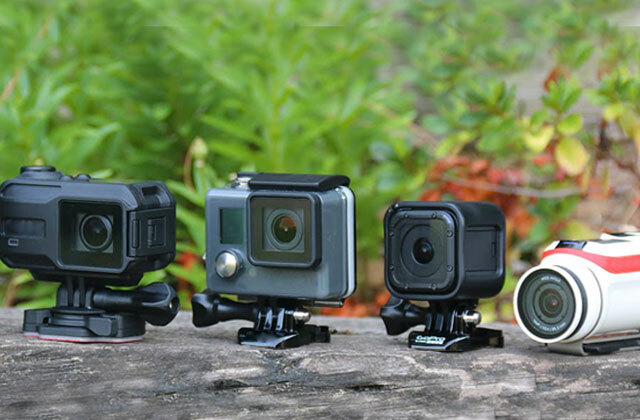 As expected, both body and the mount are made of durable metal that raises no question about the build quality. 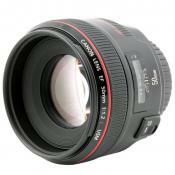 As for the optics, the lens features the low-dispersed glass with a nano-crystal coating that reduces lens flares, chromatic aberrations and improves light transmittance. If you are looking for a lens to take handheld photos, then this model will be perfect for you as it has a built-in optical image stabilisation. 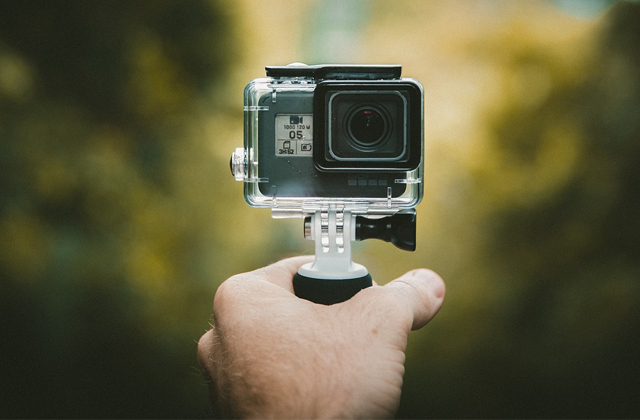 Thus, you can freely take stunning photos of small objects like bugs or plants even without a tripod. The "IF" mark is the indicator of the internal focusing mechanism. 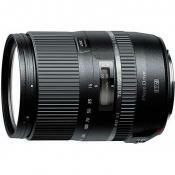 With it, the outer rim of the lens doesn't turn around during hunting. That way, you can use partially coated filters to add unbelievable colours or some other effects to your photos. 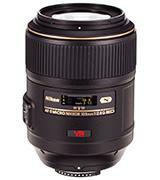 What's more, the lens has 2 modes: standard manual and Nikon's special M/A mode. When it's switched on, you can override the AF at any moment by turning the focusing ring with your fingers. This mode offers a valuable support in getting crisp, sharp macro photos as sometimes the AF hunting can be slow, especially in dim lighting. Furthermore, the aperture's 9 blades produce the artistic bokeh effect on the background. Still, if you want to shoot portraits, you might need a tripod to get a deeper focus range. 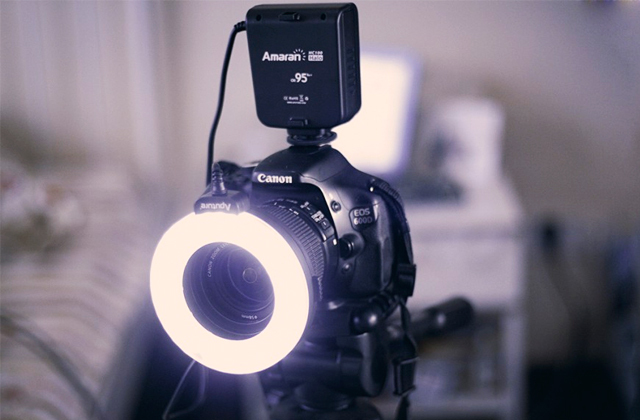 Additionally, if you love to experiment with your camera and constantly try to expand the boundaries of your imagination, we can readily recommend you to get a camera ring light that can help you take stunningly sharp macro shots of nighttime insects or flowers that only bloom at night by illuminating them with this device. 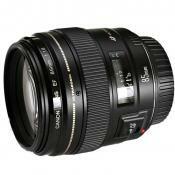 Tokina is a longtime lens manufacturer for Nikon and Canon SLR cameras. 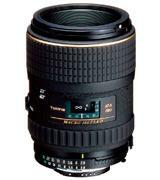 For over 60 years, the company has been producing quality optics with a wide range of fast lenses for Nikon and Canon. Lately, Tokina team of specialists have turned mostly to designing glass for Micro Four Thirds system of mirrorless cameras. 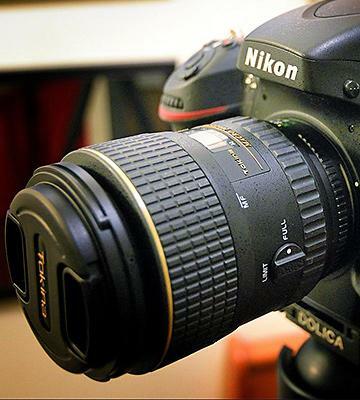 Anyhow, this macro lens for Nikon DSLRs boasts great build and image quality. The metal parts feel solid and reliable. The focusing rubber ring is wide and responsive to touch - you can readily adjust a shallow focus range on the required object in no time. The barrel also has a special diaphragm ring that allows you to manually control the amount of light that falls on the sensor to adjust the brightness and depth of the field. Besides, by changing the limiting switch position, you can restrict the range for a focus hunting either from 0.3 to 0.36 cm. or from 0.3 m to infinity, depending on the focus position when you turn the limit on. Sometimes, tiny chromatic aberrations may appear on your shots but they can be fixed in almost any image editor in a couple of clicks. Speaking of the focus, Tokina special One-touch Clutch Mechanism allows you to switch between AF and manual modes by sliding the focusing ring forwards or backwards accordingly. 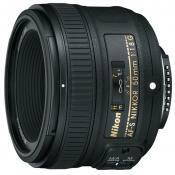 Most of the company's lenses support a full-time manual focus in AF-mode with Nikon camera bodies. 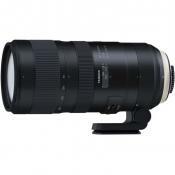 And this Tokina AT-X 100mm f/2.8 PRO D macro is no exception as well. If you are looking for an affordable, yet capable macro lens with APS-C sensor to mount on your camera, this is the model to go. Despite having a comparatively short focal length, wide-angle distortion is less noticeable due to the crop-factor that cuts off the edges of the image when compared to the full-frames. 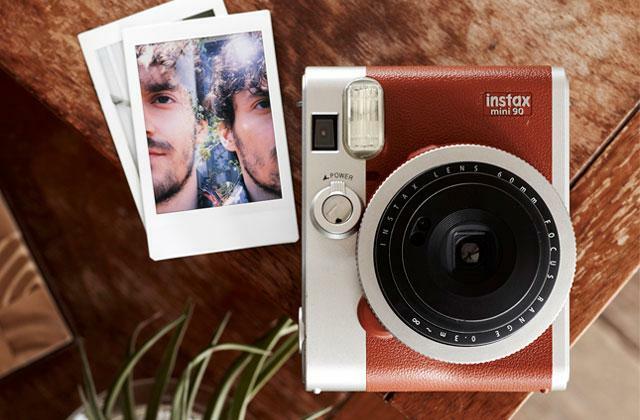 This lightweight, compact model turned out to be surprisingly fast and sharp for the price. 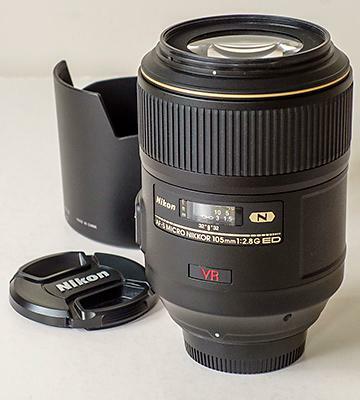 The key feature of this Micro-NIKKOR lens is a short minimum focus distance - only 0.163 m. By turning on the AF, you can get really close to a live subject without scaring it off due to the Silent Wave Motor that hunts quickly and quietly. With the 1:1 reproduction ratio, you can get nice clear macro photos. The blurring is sufficient in most cases, too. 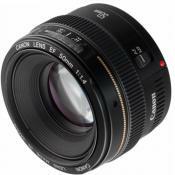 Considering the wide f/2.8 aperture and 40mm focal length, you can readily grab this lens in order to take bright portrait shots on a bright day as well. 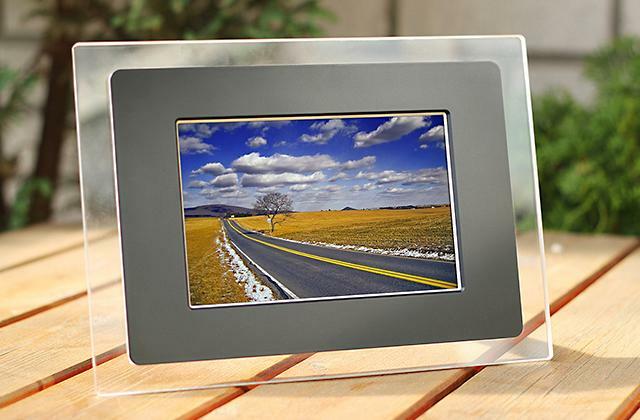 However, if your shots appear hazy in a sunny weather, we totally recommend getting UV Haze filter that can give your images additional clarity and also the necessary protection from scratches and dust. Overall, this is probably one of the most affordable macro lenses that can be recommended for the photographers with a Nikon APS-C camera body. 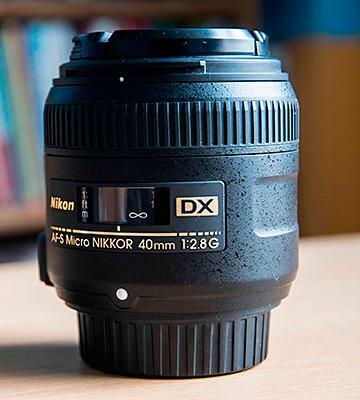 Due to the built-in focusing motor, Micro-NIKKOR 40mm f/2.8G AF-S DX is probably the best macro lens for Nikon D3200 or Nikon D5600 camera bodies that have no integral mechanism for this. 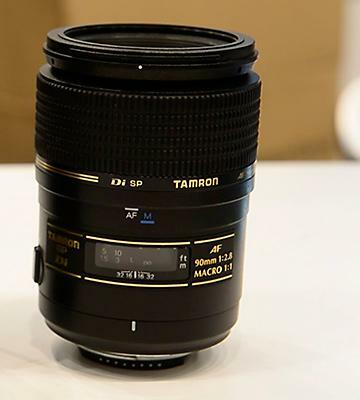 This Tamron SP 90MM F/2.8 Di is another popular macro lens for Nikon's full-frame and APS-C cameras. Keep in mind, that a 90mm lens on a cropped sensor has the angle of view equal to the 135mm lens on a full-frame camera. 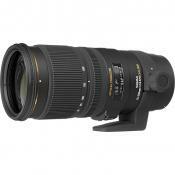 Speaking of image characteristics, we want to mention that this is a true macro lens with 1:1 reproduction ratio. That is why you can attain detailed close-ups of any small objects. As expected from a macro lens, the depth of field is very shallow when the aperture is wide open. If you like experimenting with a background behind your subjects, you will be pleasantly surprised with the circular bokeh effect that it creates with the 9-blade aperture. The AF speed is comparatively moderate but this issue can be partially solved by turning the focus limiter on the side of the barrel. 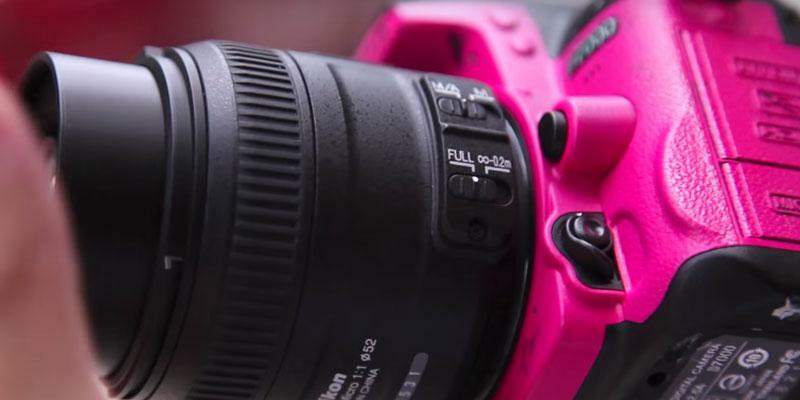 Furthermore, the rubber ring turns smoothly so it's relatively easy to adjust the focus in a manual mode by yourself. Instead of a standard switch for AF and manual modes, you have to pull or push the focusing ring in this model. 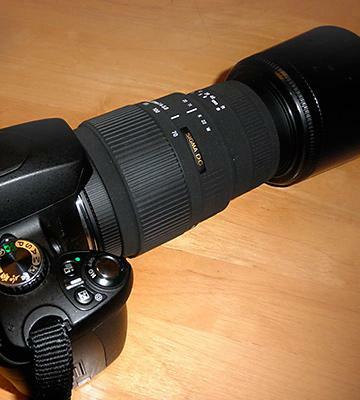 In our opinion, the only downside of this macro lens is that it comes without a storing bag. 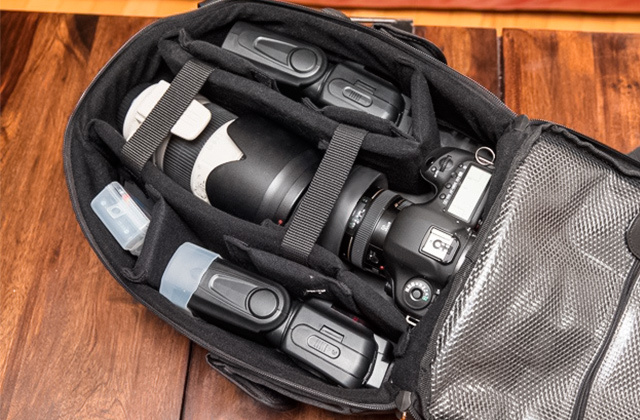 Therefore, you can either order a separate pouch for this lens or use your own if you have a spare one. 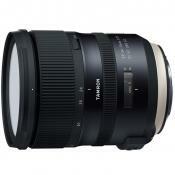 As a result, this Tamron AF 90mm f/2.8 lens is a considerable solution for those who want to buy a professional macro lens for Nikon at a more down-to-earth price than some other models with equivalent characteristics. 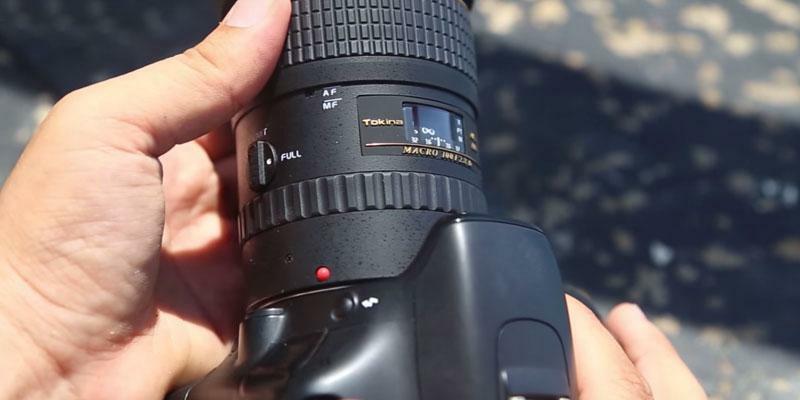 If you don't want to spend the excessive amount of money on a prime macro lens that you might use only once in a blue moon, this Tamron 70-300mm f/4-5.6 might be exactly what you need. 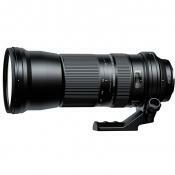 The thing is, it is a zoom lens with a telescopic design, so you can change the focal length in the 70-300mm range. Although a lot of telephoto lenses can't boast great sharpness and large aperture at long distances, this one has a couple of aces up its sleeve. 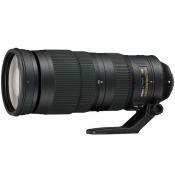 For starters, the barrel has a special Macro switch that limits the focus hunting at 200-300mm range. That way, you can tune the focus on a subject more accurately with the large 270°-rotatable rubber ring. Even more, the separate ring for a diaphragm comes to the rescue when you need to quickly adjust image brightness or want to increase the depth of field, too. As you might know, when you are zooming in, you are magnifying not only the image but the smallest vibrations from shaking hands as well. 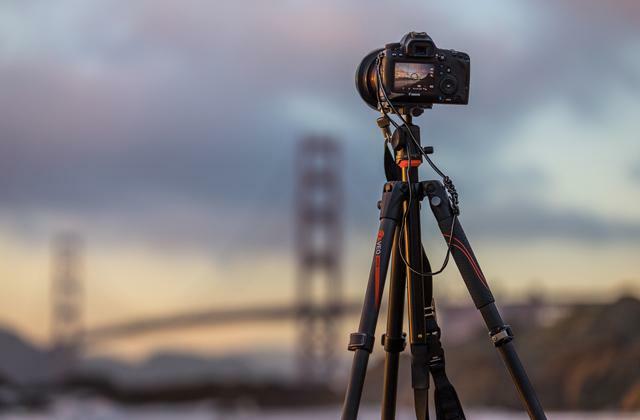 In order to get a sharp image with this lens at 200-300mm focal range, you might require a tripod or any other steady support to lean to. Anyway, the barrel has special marks and dials for the very precise control of optic parameters. Thus, you may tune them up without even checking the viewfinder. As for the image quality - the chromatic fringes are surprisingly thin or even absent even at long ranges and can be easily fixed in any photo editor. The minimum focusing distance is comparatively long, so you might use Sigma 70-300mm f/4-5.6 lens to get macro photos of things like butterflies without coming too close in order not to scare them away. Additionally, this model can be used both for macro photography and for genres like portraits or scenery, too. 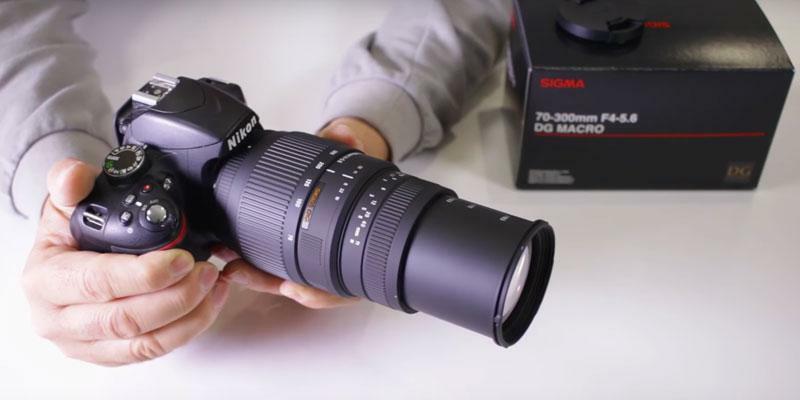 After all, we readily recommend this Sigma macro lens for Nikon to beginners and advanced photographers with Nikon DSLR bodies that have an integral focusing motor. 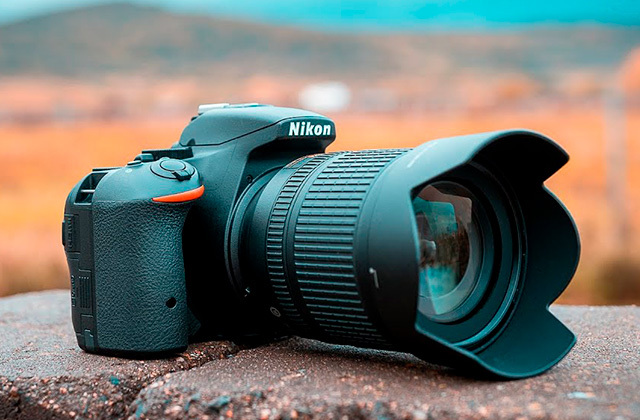 Macro shots of live objects can be considered as one of the hardest photography styles to master as in many situations, you might have mere seconds to prepare your kit, find the right angle, adjust the shallow depth of field and take a shot while the subject stays in place. But with the right macro lens, the whole process becomes a child's play as you can achieve stunning results fast and easily. The key feature of many macro lenses is the 1:1 reproduction ratio. In other words, the tiny bug will look like a huge monster taking a large part of the photo when you open it on your computer screen. The similar effect can be achieved with a powerful zoom lens where the faraway object becomes magnified. However, the macro type allows focusing on the objects that are just around 0.3 m away from you. Moreover, the macro lenses are great not just for close-up shots but also for things like waist-up portraits, as with the short focus range, you can blur the fore- and background around the person to emphasise him or her in all their beauty. On a side note, if you are big on photography and have several DSLR cameras from different companies, you might be interested in the best macro lenses for Canon as well. Lastly, if you are going to shoot at the nighttime, such equipment as camera tripods and ring flashes are a must. 1. Thomas Clark HOW TO CHOOSE A MACRO LENS, Dummies. 2. Choosing a Macro Lens, Shaw Academy. October 7, 2015. 3. MACRO CAMERA LENSES, Cambridge in Colour. 4. Simon Crisp A guide to buying your next camera lens, New Atlas. October 2, 2013. 5. 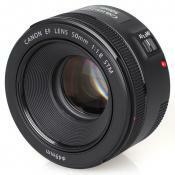 Choosing a Lens: camera lenses explained, What Digital Camera. September 24, 2015. 6. Jason D. Little 6 Tips for Successful Macro Photography, Light Stalking Photography. December 9, 2012. 7. Barrie Smith Macro Photography for Beginners, Digital Photography School. 8. 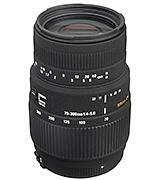 Matt Golowczynski Photography Lens Guide: Lens Types Explained, Wex Photographic. January 22, 2015. 9. Joshua Dunlop What do the Numbers and Letters on Lenses Mean? Expert Photography. 10. 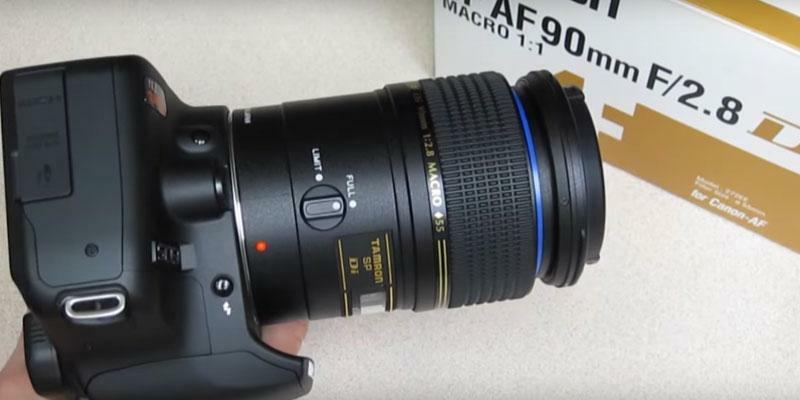 Lauchlan Toal THE MACRO LENS | WHY IT SHOULD BE YOUR SECOND LENS PURCHASE, SLR Lounge. January 20, 2016.